President Bill Clinton will visit Papua New Guinea for the first time tomorrow. 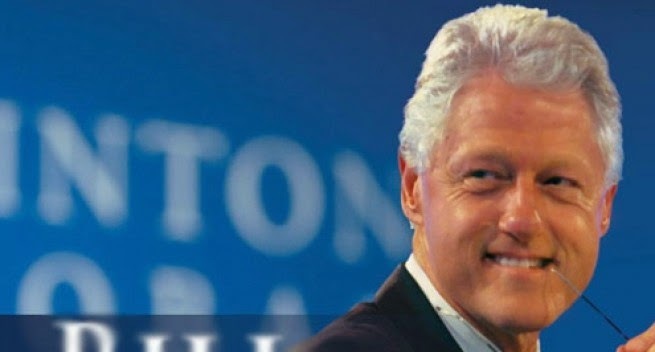 President Clinton will travel to Goroka tomorrow to visit the Clinton Foundation. In Goroka, he will visit an HIV lab and treatment center facilitated and meet with expecting parents about antenatal care and prevention of mother –to-child transmission (PMTCT) services by the Clinton Health Access Initiative. Mr Clinton’s visit will highlight foundation work in global health and improved access to medicines, climate change, and economic development in five countries. President Clinton has a long commitment to the Asia/Pacific region. As President, he helped enhance global economic growth by responding quickly to the Asian Financial Crisis of 1997, and promoted economic development by elevating the Asia-Pacific Economic Cooperation (APEC) to a head-of-state event. Twenty years ago, President Clinton lifted the U.S. trade embargo on Vietnam, and the following year announced the formal normalization of diplomatic relations with the country. President Clinton also encouraged inclusive, democratic governance across the region, and worked to promote peace and defuse conflict. Since leaving office, President Clinton has focused on the Asia/Pacific region – working to improve access to life saving medication through the Clinton Health Access Initiative; supporting commitments to global philanthropy through the Clinton Global Initiative (CGI); and addressing the causes of climate change through the Clinton Climate Initiative. After the 2004 Indian Ocean tsunami, President Clinton was named U.N. Special Envoy for Tsunami Recovery. Along with President George H.W. Bush, he headed an international effort to help countries devastated by the disaster recover, build back better, and enjoy stronger economic opportunities. President Clinton traveled to the Asia-Pacific region fourteen times – eleven as President, and three times as U.N. Special Envoy for Tsunami Recovery.